Making beef stock is traditionally a time-consuming affair, requiring hours upon hours of simmering. With a pressure cooker, what used to take forever can now be done in a fraction of the time. I've always discouraged people from making beef stock at home. It takes an extraordinary amount of time—simmering alone can run for 12 hours—and yields a more robust stock than most recipes call for. Until recently, if I was going to load my freezer up with any kind of stock, it would've been with the far more versatile chicken-based variety. But all that's changed, thanks to the pressure cooker. To be fair, my reliance on chicken stock has almost never let me down. I even use it as the base for my (ahem, highly rated, cough) French onion soup recipe, a soup that traditionally calls for beef stock. But as versatile as a gelatin-rich homemade chicken stock can be, it still isn't a perfect substitute for beef stock. A good beef stock has a deeper, meatier flavor, and an even more viscous texture, thanks to an abundance of gelatin extracted from connective tissues on the bones—all qualities that are key to making richer sauces and braises. The challenge is that it takes a lot longer to get all that gelatin and flavor out of hefty beef bones than delicate chicken bones. That's one of the reasons traditional beef stock recipes call for such extended cooking times. The solution is the pressure cooker. There's nothing new about the device, nor is there anything new about using a pressure cooker to make stock. What has changed in recent years is how deeply pressure cookers have penetrated the market. 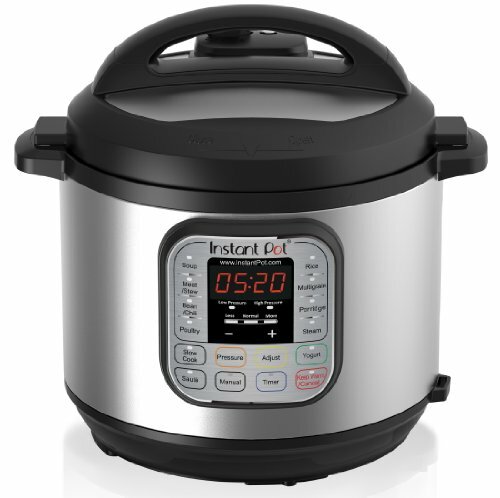 That's in large part due to the Instant Pot, an electric multicooker that is, above all else, a pressure cooker. 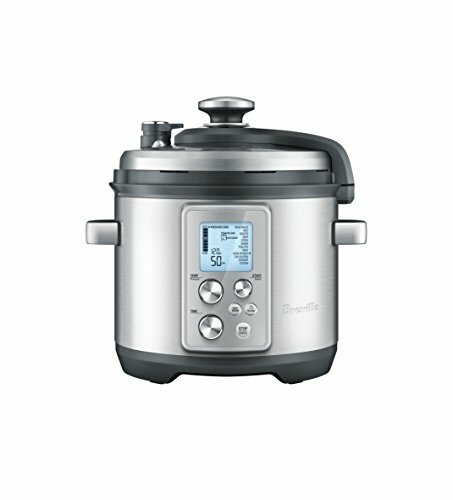 The Instant Pot craze means there are now enough homes with pressure cookers to make this an easy, accessible technique. Here's how it works: within the cooker's sealed interior, pressure builds as the contents heat up. This change in pressure raises the boiling point of water in the cooker, rising from 212°F at sea level to upwards of 250°F. At those higher temperatures, the beef's tough cartilage, tendons, and ligaments melt down much faster, releasing gelatin and flavor into the surrounding liquid at an accelerated rate. Thanks to the pressure cooker, beef stock is no longer an overly cumbersome all-day project. It's something anyone can do in just a few hours, making it a much more realistic option for soups, sauces, and braises. So while I'll still lean on chicken stock most of the time—with limited freezer space, versatility still matters—now I'll be working beef stock into the rotation, and hopefully you will, too. Is Beef Stock the Same Thing as Beef Broth? Some folks may be wondering whether beef stock and beef broth are the same thing. Since the terms are sometimes used interchangeably, there isn't an entirely clean answer, but technically speaking, there's definitely a difference. A beef stock tends to be made with more bones than meat; when made properly, it contains so much gelatin that it sets to an almost rubbery density. As it reduces over heat, its gelatin concentrates, giving it more and more body and viscosity. For these reasons, it's most often used as a base for sauces, stews, soups, and braises. It's also usually a brown stock, meaning the bones and aromatics have been roasted first for deeper flavor and color. Beef broth, on the other hand, has more limited applications. A broth doesn't need the same amount of gelatin, since it's usually consumed as its name suggests—as a broth or soup base. A broth can be made with beef bones, but it's more often made with the meat itself (or at least has a higher percentage of meat in it), which can produce great flavor, but a lot less of gelatin. That doesn't matter too much when you're spooning up a brothy bowl of soup, but it does make it a much poorer choice for sauces, since reducing it won't lead to an appreciably more viscous sauce. The first thing you need are beef bones (substitute veal bones and you'll make veal stock instead; you can also toss a few veal bones in just for fun since they deliver an even bigger gelatin payload). Just go to your butcher and see what they have. I found that five pounds of bones fits in most pressure cookers, but pressure cooker chambers do vary in size, so you may have to adjust accordingly. Ask the butcher to cut the bones if any seem like they'll be too long to fit. Look for bones that have connective tissue, such as joints, as well as bones that have any bits of meat still clinging to them, since those will yield the most gelatin (from the connective tissue) and flavor (from the meat). In my tests, I also tossed in one cross-cut beef shank, just to help boost the meaty flavor. Shank is more expensive than bones, but you can always eat it when it comes out of the cooker to avoid the waste. Once you're ready to start cooking, oil the bones and put them on a rimmed baking sheet or in a roasting pan, then roast them, turning them once or twice, until they start to turn golden-brown. Then add aromatic vegetables—in this case, a mixture of onion, celery, and carrot—which should also be lightly coated in oil, and continue roasting it all together until the bones and vegetables are nicely browned. Be careful not to let anything scorch, since a burnt flavor can taint the entire batch of stock. Transfer all the bones and vegetables to the pressure cooker, then pour off any accumulated fat from the roasting pan. Use hot water to deglaze the pan, scraping up any browned bits, and add that to the cooker (it's flavor you don't want to lose). Now you can fill the cooker with water (don't go over the cooker's max-fill line, even if it means some solids are not submerged). Add some more aromatics, like thyme and parsley, and a tablespoon or two of tomato paste, which helps deepen the brown stock's flavor and color. Cover the cooker, and bring it to high pressure. In my tests, I tried cooking the stock for both an hour and a half, and two and a half hours (I decided not to go longer than that in order to keep the overall cooking time within reasonable limits for most home cooks). When I compared the results, the two-and-a-half-hour cooking time was far superior, yielding a beefier, more gelatinous, more robust stock. When the cooking time has elapsed, simply depressurize the cooker. You can use the quick-release valve on the cooker to depressurize it faster, but there are a couple disadvantages to this: First, it will cause the stock to boil very rapidly in the cooker, which can cloud its appearance—not necessarily the end of the world, but it will have some visual effect on sauces. Second, and perhaps more importantly, there have been reports of the contents of a pressure cooker explosively boiling when the quick-release valve has been used to depressurize it—after the lid has been removed. The risk is reportedly worse when there's a large layer of fat on top, which is a likely scenario when you're making beef stock. The risk with rapid depressurization is that the temperature of the contents may not equalize quickly enough, with some pocket of super-heated steam trapped below the fat layer; that can lead to trouble when the trapped steam breaks through the surface. For these reasons, I'd recommend allowing the cooker to depressurize naturally. Once it has, you can go ahead and strain out the solids. Most of the solids can be discarded, but if you've used a beef shank, don't forget to rescue it from the pile! All that's left is to skim off the fat. You can do this using a ladle when the stock is still hot, but the most effective method is to chill the stock first, and then remove the congealed fat that's risen to the surface. Assuming you've done the latter, simply reheat the stock to return it to a liquid state, and portion it into storage containers to refrigerate or freeze. If you're planning to freeze it, you can also portion it into to zipper lock bags, for even more efficient storage and faster defrosting. It'd be great in my French onion soup and beef bourguignon recipes, along with lots of other beef braises and stews. Sure, you can still use chicken stock for those, but beef will be even...beefier.